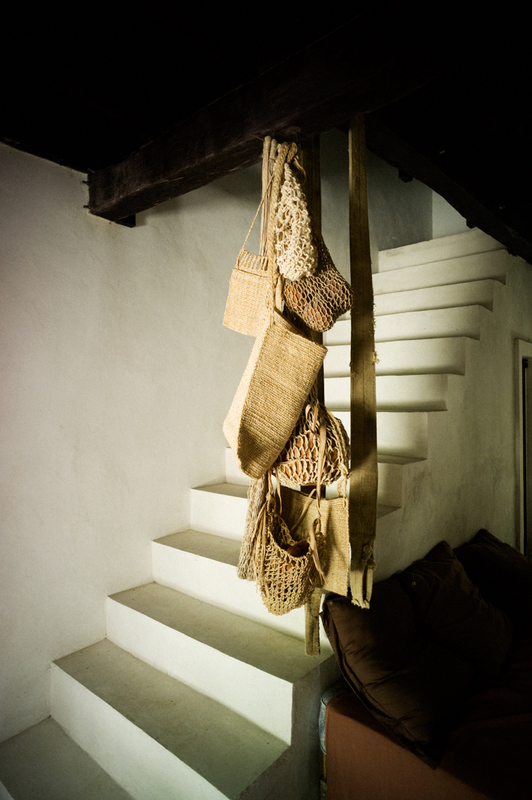 Necessity is the mother of invention – illustrated through the fact that Francesca Bonato and her business partner Jacopo Janniello Ravagnan's accessories line: ''Hacienda Montaecristo'' was born of necessity when Francesca and her husband, Nicolas Malleville, a contemporary landscape architect and perfumer, opened their first Coqui Coqui boutique hotel on the Yucatán Peninsula in Southeastern Mexico. 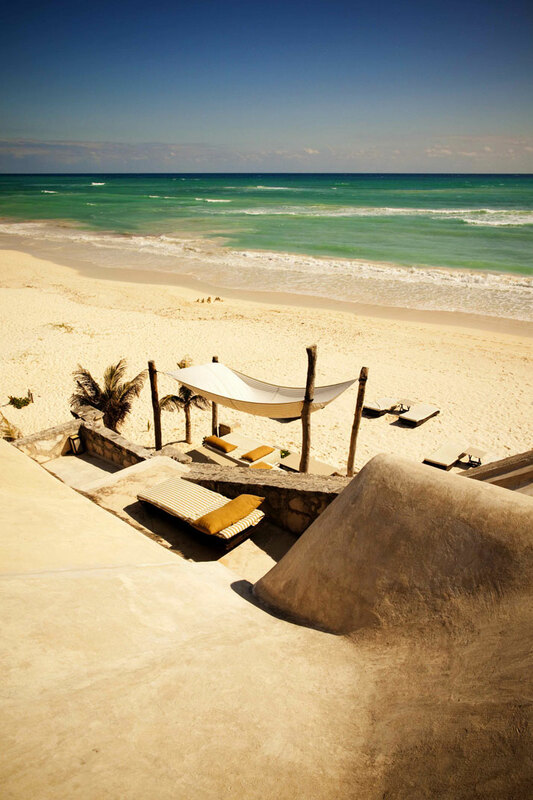 Coqui Coqui Tulum, photo © Coqui Coqui Residences & Spas. 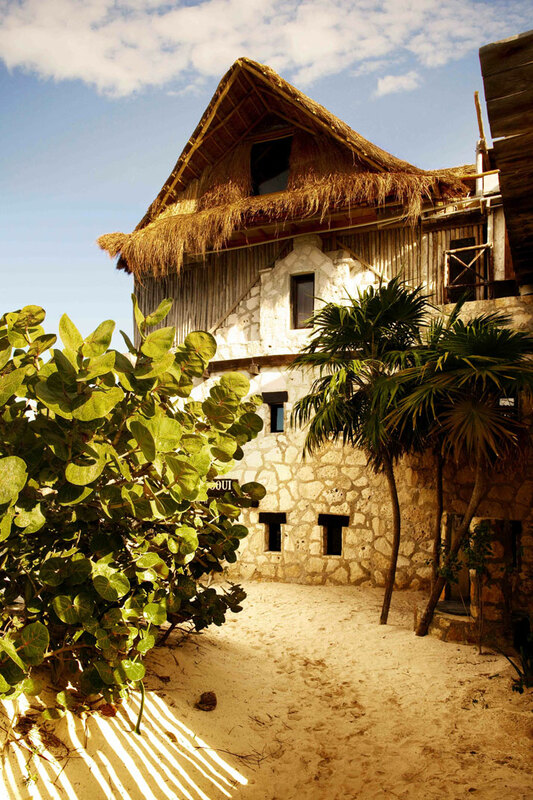 Coqui Coqui Tulum, photo © Todd Selby, The Shelby. Nicolas Malleville & Francesca Bonato, photo © Todd Selby, The Shelby. 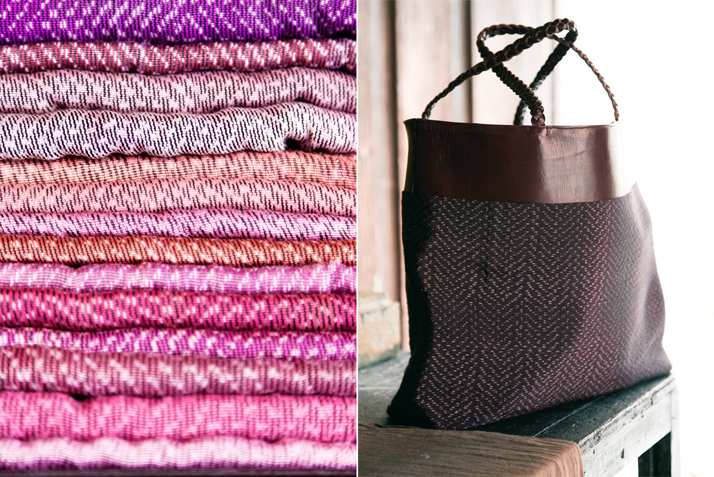 A stack of antique rebozos and a bag made from rebozo fabric and hand-dyed leather. Photo © Todd Selby, The Shelby. 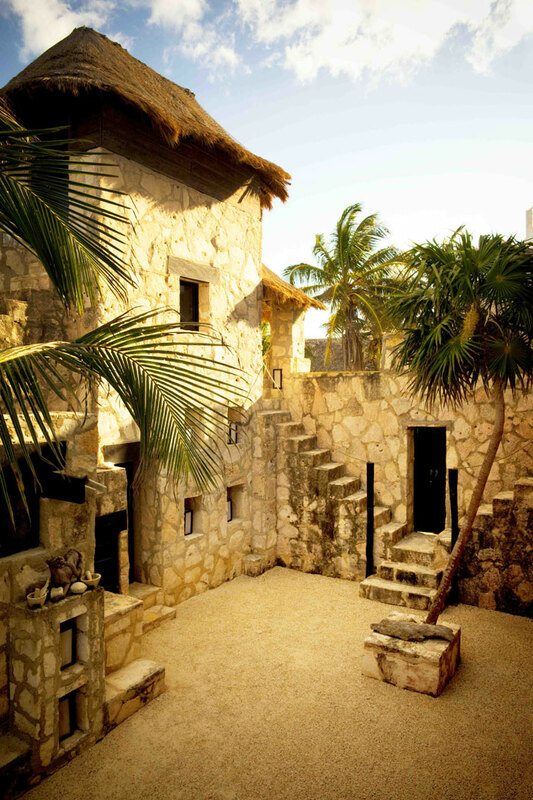 It was back in 2003 when the couple opened their first bohemian chic boutique hotel in TULUM near a former hippie outpost which has today become one of the most stylish and high-end beach destinations in Mexico. 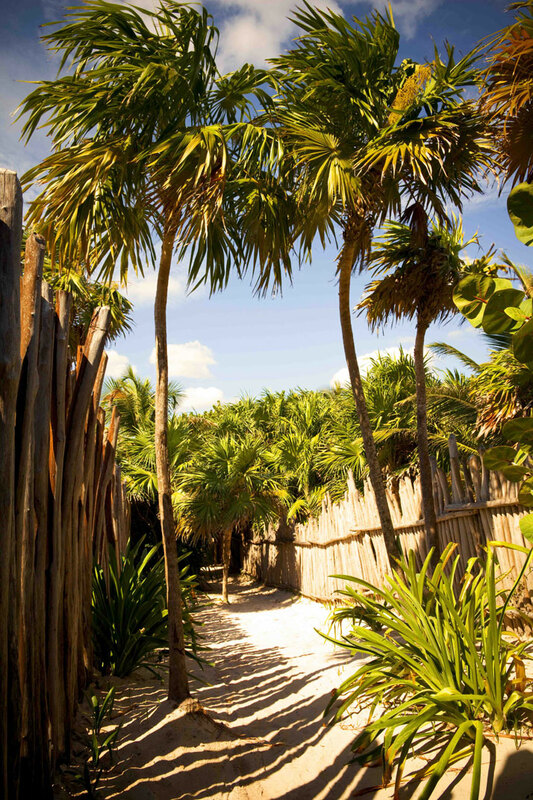 With the never ending coconut trees and white sandy beaches, nothing else but nature’s pure resources, are the inspiration behind the Coqui Coqui experience. 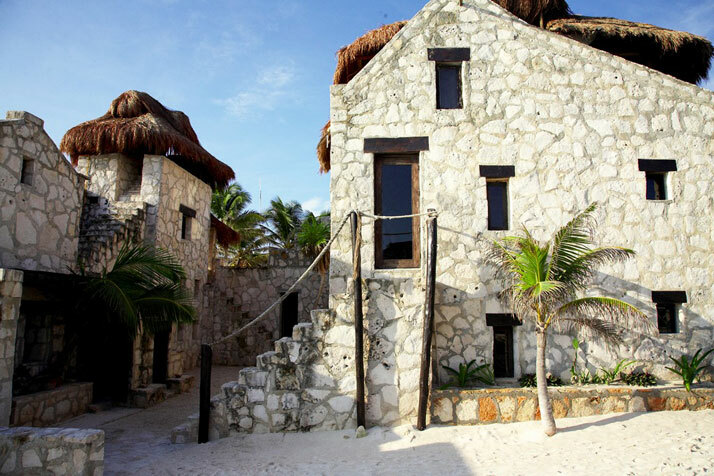 The jungle, the Caribbean Sea, the ruins, and the local architecture are the backdrop and magnificent canvas to this bohemian chic contemporary designed hotel – where pure, elegant, stylish, and rustic are just a few of the feelings which the hotel exudes. 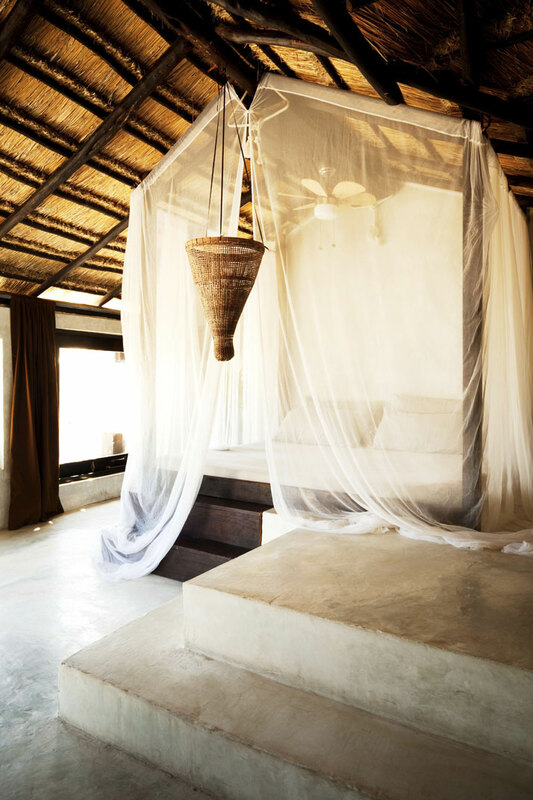 Unified in a tranquil beachfront environment, they provide guests with a truly majestic and extraordinary hospitality. 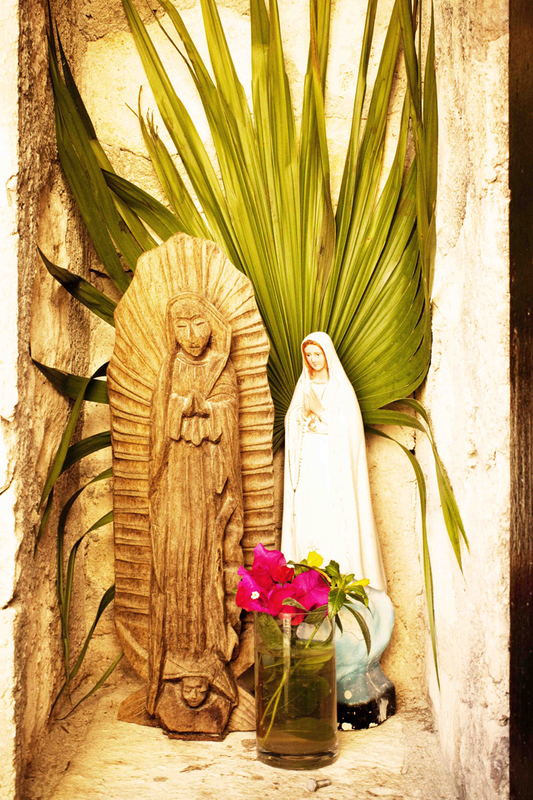 Today, a decade later, this peaceful and relaxing sanctuary has definitely become an integrated part of the Yucatán Peninsula, both in charm and in culture. 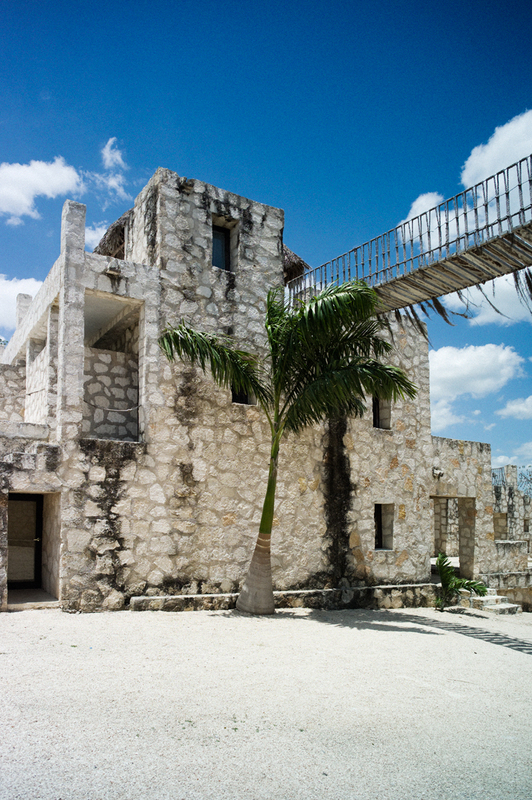 In addition to the two smaller properties that followed in VALLADOLID and COBA, in September 2011, the couple turned a turn-of-the-century building in MÉRIDA’s historical center into another Coqui Coqui guest house which stands next door to the second Perfumeria after its flagship sibling in Valladolid. Pictures of Bonato and Janniello Ravagnan's jewelry along with vintage pieces used as reference. photo © Hacienda Montaecristo, Coqui Coqui. 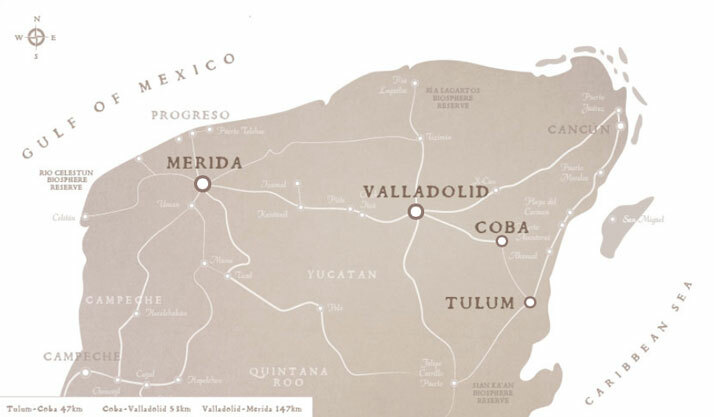 The Coqui Coqui Perfumeria in Mérida has been inspired by the Yucatán peninsula’s lush nature; think tropical scents of smoked woods, vibrantly colored plants, tobacco leaves, and succulent vanilla, spicy peppermints, and fruity aromas. 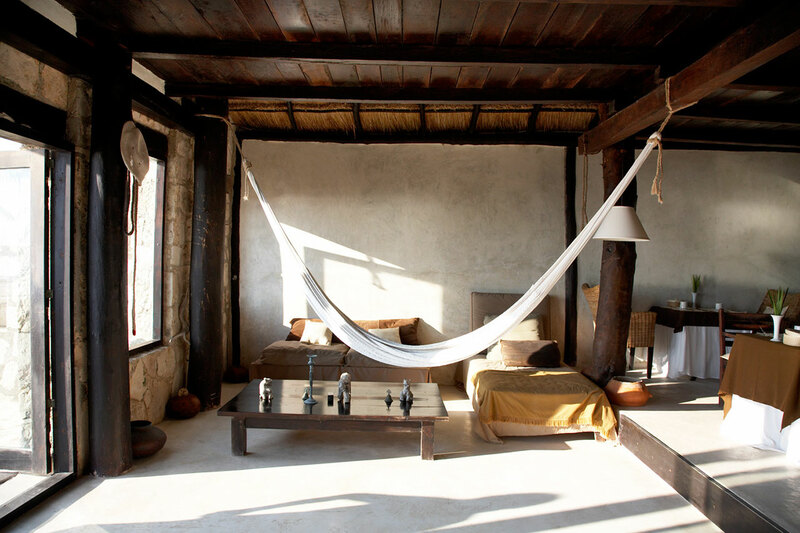 The boutique also features the Bonatos and Ravagnan Hacienda Montaecristo accessories line, which includes locally hand-crafted gold filigree necklaces and even hand-crocheted hammocks. 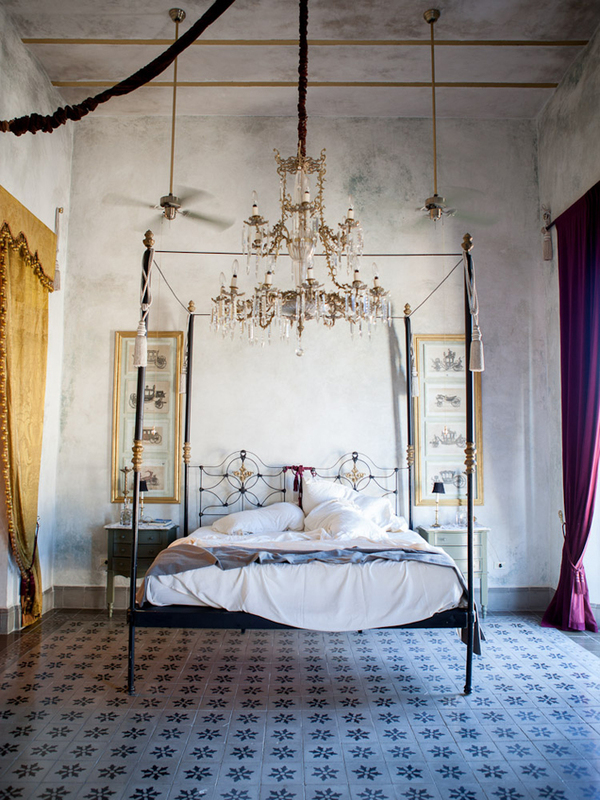 The youngest residence next to the Perfumeria in Mérida is the latest addition to the Coqui Coqui Empire, complete with its Venetian plaster walls, marble baths, red velvet settees and original ornate tile work. 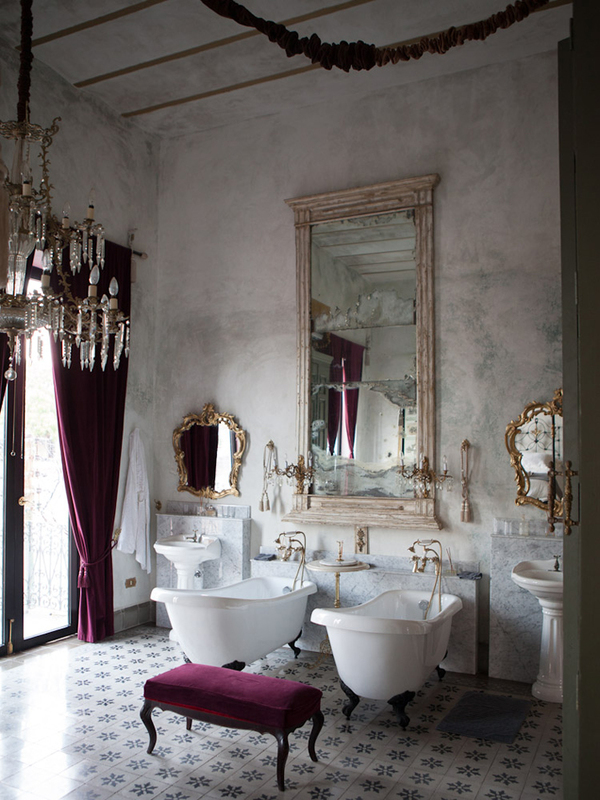 Its design reflects the metropolis’ vibrant life whilst keeping its elegant and sophisticated époque design intact. 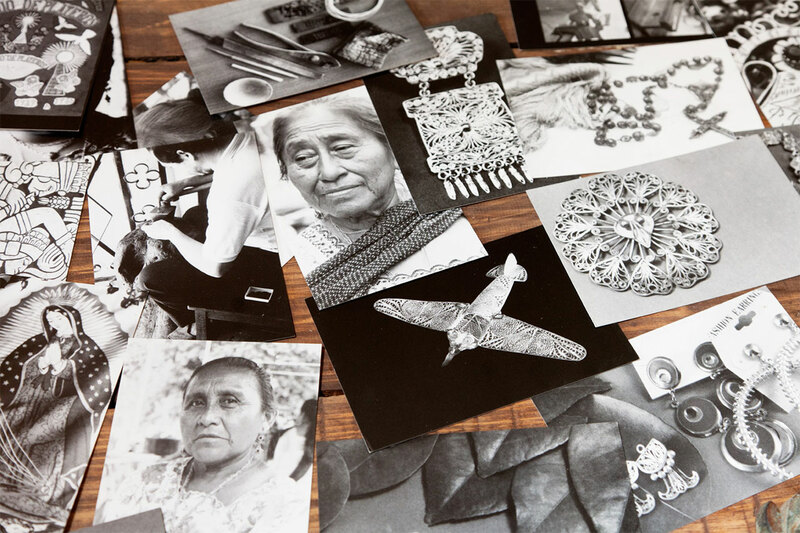 Inspired by the synchronicity of local and colonial traditions, the romanticism of the past and Mexican culture, the Coqui Coqui Empire embodies the owners’ passion and love for culture and tradition. And that is what makes it so unique, something definitely worth seeing, staying in, smelling and ultimately, wearing. 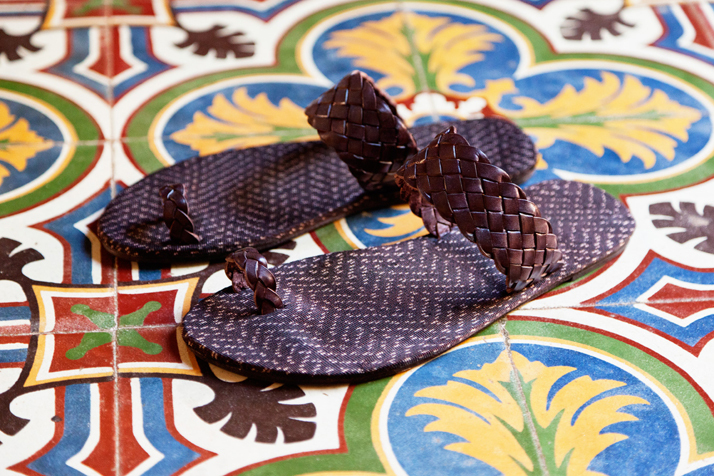 Hacienda Montaecristo combines rebozos and leather into sandals and a necklace that gives traditional Mayan dress a high-fashion spin. 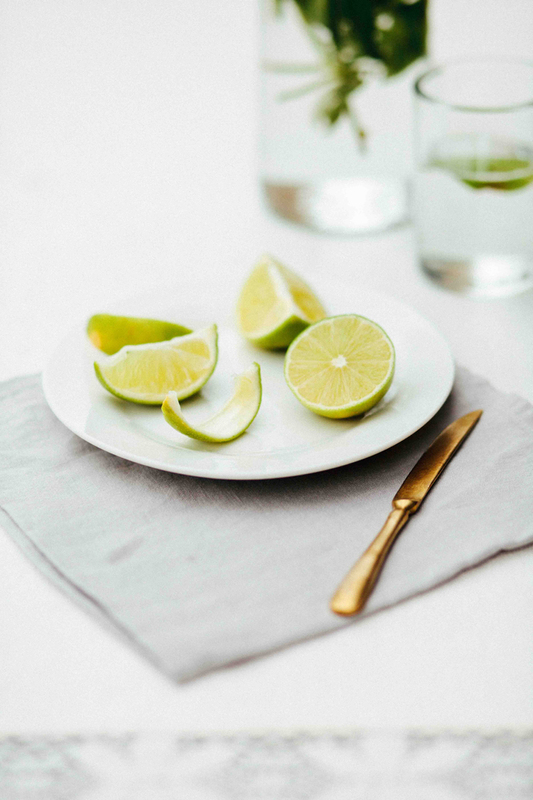 The pieces are sold at Barneys and Colette in Paris. 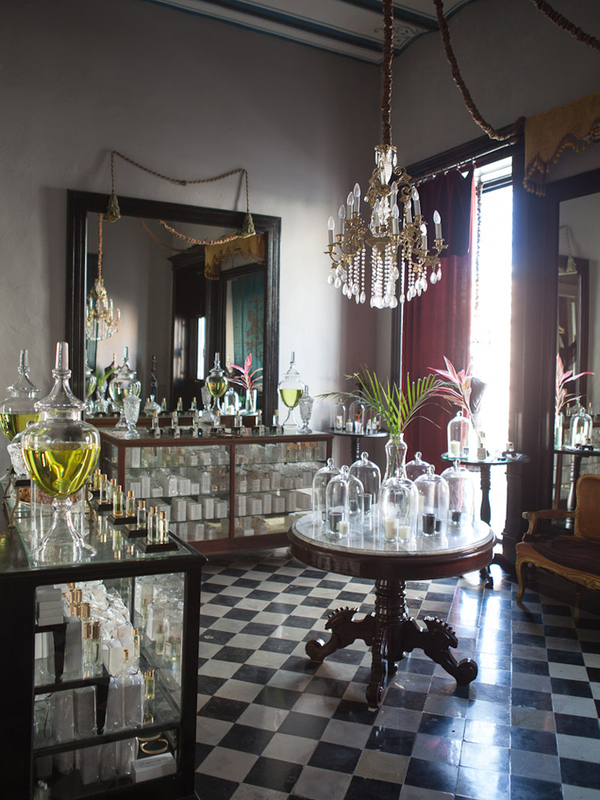 The Perfumeria, Coqui Coqui Mérida, photo © Paul Costello, Courtesy of T Magazine. 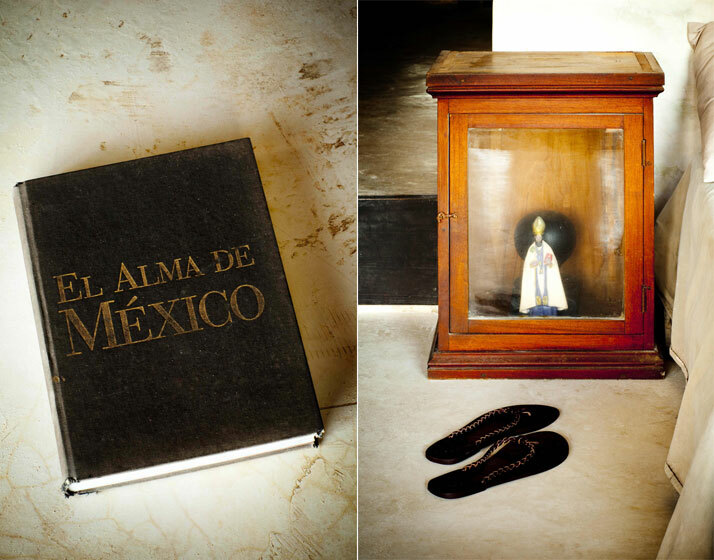 Coqui Coqui Mérida, photo © Paul Costello, Courtesy of T Magazine. 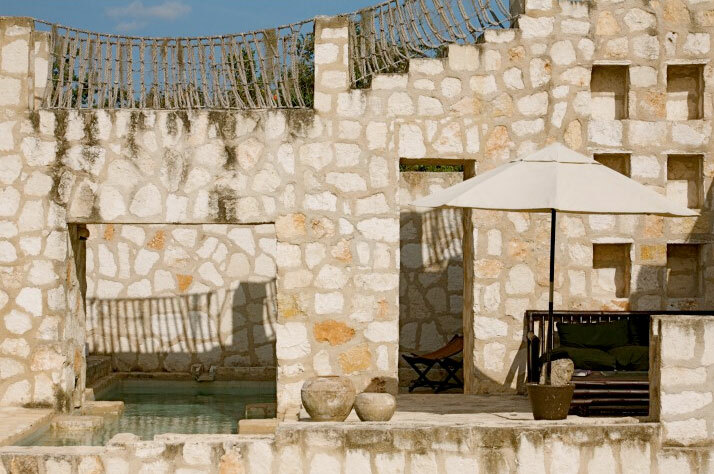 Coqui Coqui Coba, photo © Coqui Coqui Residences & Spas. 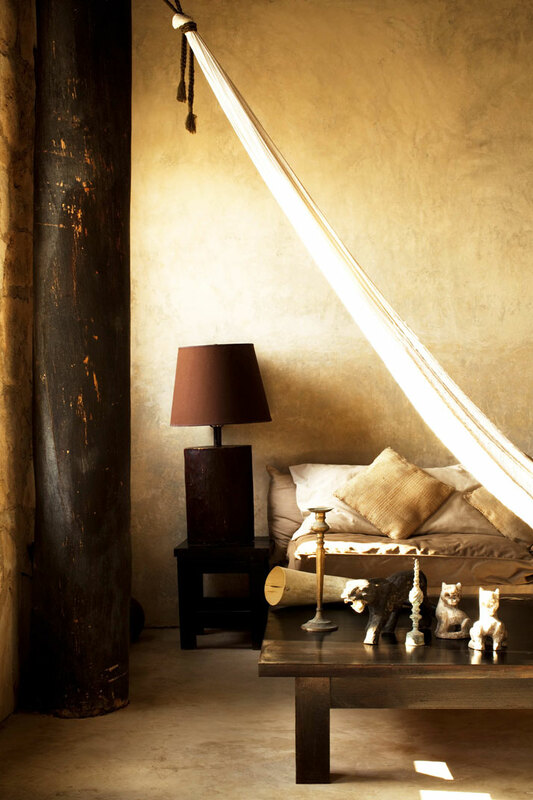 photo © Coqui Coqui Residences & Spas.